About Group’s Start & Complete has flown somewhat under the radar. It is somewhat surprising considering both its quality and the fact it features members of prominent acts like Hot Chip (Alexis Taylor), This Heat (Charles Hayward), and Spiritualized (John Coxon). 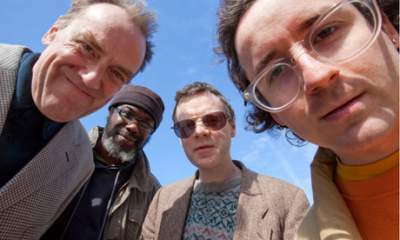 Add to that the experienced Pat Thomas, who has played for several deceased avant-garde revolutionaries like Derek Bailey and Jimmy Carl Black, and the result is something that forces these musicians somewhat out of their comfort zone. Initally formed by Hayward, the result is quite cohesive considering the wide breadth of styles the participants are familiar with. Their debut full-length recalls a no-frills classic-rock approach heavy on organs, jangly guitars, and sweet harmonies. 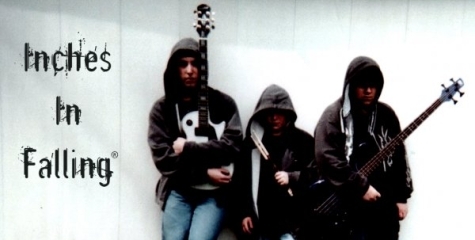 Before being signed to Domino, About Group was regarded by a quick side project by all those involved; their previous material was recorded in about a day’s time and primarily improvisational. Start & Complete shows us there may be something more to it, even if they have retained the laid-back feel of their previous material. Attempting to find a stylistic intermediary may have been complex for this select group. All members respectively push forward new ground in their specific stylistic territory, whether it be the sleek electro-pop of Hot Chip or This Heat’s heavily influential mixture of post-punk and indie-rock, which Spiritualized surely benefitted from them (and later aided in creating their wholly unique sound). With Pat Thomas at their disposal, the emphasis on songwriting and naturally appealing hooks is now grounded in a one-meets-all classic-rock formula. Not the most groundbreaking approach on earth, but solid nonetheless. “Don’t Worry” starts out with the organ stabs which schematically mirror a slide guitar. The actual guitar licks, which occur shortly thereafter, softly establish an infectious realm somewhere between lush AM-radio psych-pop and twangy country-rock. Taylor’s surprisingly restrained vocals provide a more drugged-out feel than one steeped in overly charismatic pop, somewhat of a contrast to his material with Hot Chip. His ability to adapt to this certain style is surprisingly impressive, and gives hope for increased variety on Hot Chip’s part. It helps that he’s backed by a bunch of absolutely stellar musicians – who truly shine here by playing loosely and charismatically, with few dull moments to be found. Tracks like “Don’t Worry” and “Lay Me Down” sounds like the band is having fun, and effortlessly so. Some may find the material a bit too effortless in its reliance on elastic organs and classic-rock licks, but as far as easy-listening efforts go Start & Complete is one of the seamless releases of the year in that regard. “Repair Man” is easily one of the album’s best tracks. Taylor co-wrote it with Scritti Politti frontman Green Gartside, who was surely a huge influence on his work with Hot Chip. Despite both specializing in electronic-pop, their key-driven hooks remain intact under more natural assortments of guitars. The use of synths remains subtle, mainly replaced by organs, but is implemented for good measure. The slightly shrill organ croon is continuously active in the background, gliding under a twangy assortment of guitar arrangements – both twangy one-noters and steadily distorted chords. It goes further to show that About Group is essentially a circle of influences, featuring a variety of artists that influence one another in a “Six Degrees of Kevin Bacon” sort of way. Start & Complete is an enjoyable showing of several talented musicians under the same ideology, if only for an instance. This is certainly a side project, but not one forced to wear that label due to quality. It’s simply because the members are so idiosyncratic that sticking to one style or sound would be a waste in the long-term for all involved.